As the temperatures rise and spring approaches, it is time to expand your commercial business revenue areas. How can you accomplish this task? You can with Sunesta screens and commercial awnings. These additions will create beautiful outdoor spaces for your commercial business and increase your business revenues. Consumers enjoy nice weather and open spaces. They also like when businesses provide adequate shelter as they are given the option to enjoy food and drinks outdoors. 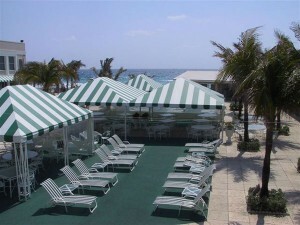 When customers want shade, they can receive it with shade structures, screen rolls and patio awnings. You can also benefit from the new arrangement by making your commercial business more distinctive with screen rolls and commercial awnings that feature custom designs and logos that symbolize your business brand. By providing your customers a welcoming entrance, weather protection and comfortable setting to enjoy your products and services, you will inevitable grow your business revenues this spring and summer. Sunesta screen rolls and commercial awnings are especially great for hotels, restaurants and bars. If your customers are not outside enjoying food and drinks, they will want to be and they may be more than willing to leave your business for competitors offering those luxuries. Have your Sunesta Screens and commercial awnings installed by Carroll Awning Company today. For more information on Sunesta Screens and a free quotation call Carroll Awning at 1-800-999-5617 or click here today!